In this most exciting season of the year, we think of beaches, mountain climbing, joy rides and out of town trips. But there’s one thing that we also look forward to; summer foods and beverages that would quench our thirst and help us beat the searing heat. 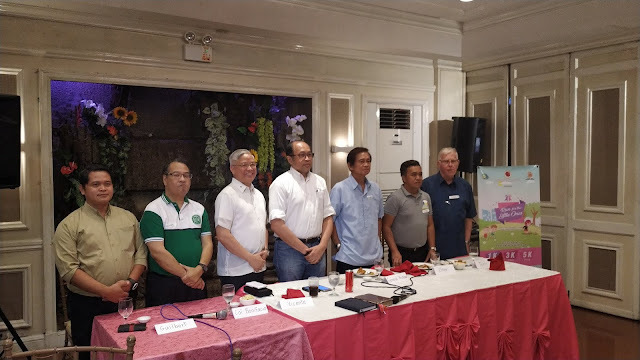 For sure, markets and sidewalks will be filled with our favorite watermelons, citrus fruits, halo-halo, scramble, mais con yelo, and sago’t gulaman. Having a bit of these every year is quite okay but if you want to make this time extra special. Have a taste of summer at Pampanga! Being home to mouthwatering delicacies, there’s no place like this province to experience summer’s best. In fact, the region has one of the best halo-halo in the country. Did you know that your favorite Razon’s halo-halo originated from Guagua? Its main ingredients like leche flan, macapuno, and sweetened banana (saba) make it everybody’s number one choice. Simply the best! In addition, Pampanga is also known for its gabi-cheese ice cream from Wiggies. It is very creamy and its flavor tastes like no other. You can also delight in a great deal of flavors such as mais-keso, ube-keso, durian, and buko pandan. Tempting, isn’t it? 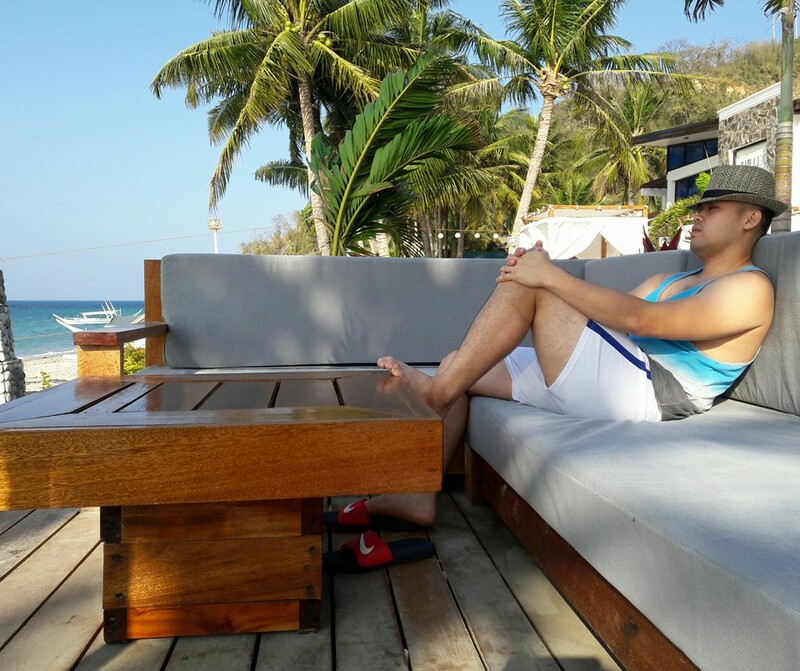 With the onset of summertime this March, NorthPine Land is thrilled to spend with you a fun day under the sun. Prepare your taste buds because we only got the best for you! 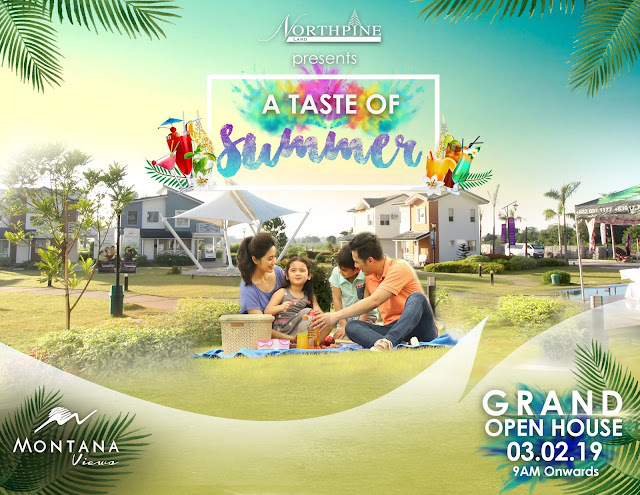 Get a cup of fruit shakes, halo-halo, and ice cream from our A Taste of Summer Café which we will setup on our Grand Open House at Montana Views which lies between Brgy. Calulut, City of San Fernando and Brgy. Panipuan, Mexico, Pampanga. Summer foods are most enjoyed when you share them with your loved ones, so make sure to take your family or your friends with you. This day will be an excellent way to jumpstart this much-awaited season with the invigorating ambience at Montana Views. Plus, you will get a chance to see and visit the stunning houses, namely: Aven, Bryn, Kendra, Lindsey, and Quincy, one by one. Happening on March 02, 2019, expect more surprises, fun activities, and exciting milestones. Come and join us! 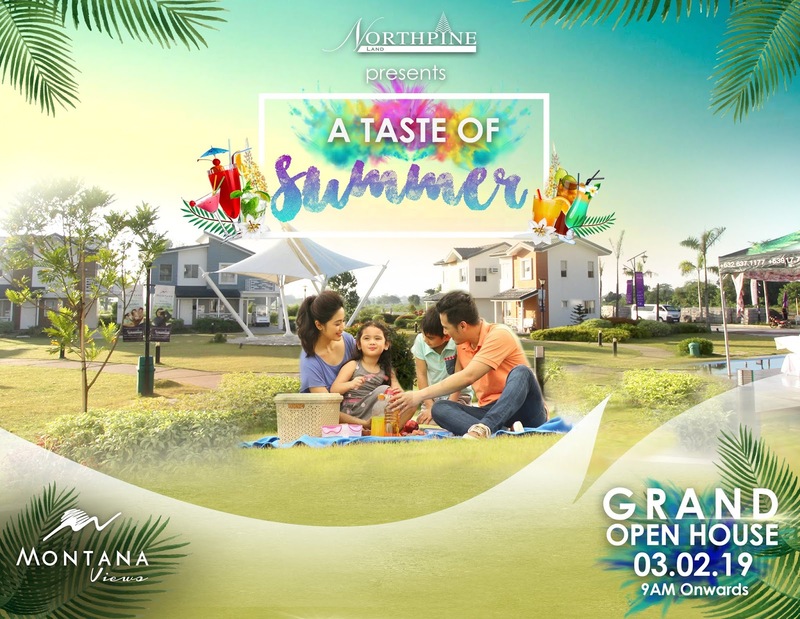 Let us all have a taste of summer at Montana Views in Pampanga!